I’ve come to baking quite late in life and still find it quite miraculous! You mix wet and dry ingredients, stick them in the oven and hopefully end up with some delicious treat. Like magic! Mountain Berries & Desert Spices by Sumayya Usmani offers a whole new range of baking opportunities as a journey through the sweet treats of Pakistan. Many and varied they are too. The book starts off with explanations of the exotic ingredients used and moves from delightful fruity dishes through puddings, biscuits, breads, pancakes, doughnuts, samosas, pastries. The recipes are easy to follow and all the ingredients are readily available in the UK. If you can’t find them in the shops you will online. Here’s a beautiful recipe to tempt you. And you can win your own copy of this marvellous book – I have two to give away. 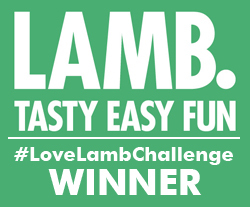 Find out how to enter below. This Hyderabadi sweetmeat translates as ‘almond lace’ and the name conjures up visions of delicate white fairytale lace. It’s a festive sweet for celebrations and gifts. The art is in its making as the traditional methods are laborious and badam ki jail is always made in abundance. The mixture resembles marzipan, but it dries out quickly so you must work fast. Soak the almonds in a bowl of water overnight. The next day, the skins should come off effortlessly. Place the almonds in a food processor with the rose water and grind until they are very fine and paste-like, then place in a heavy-based saucepan and add the caster sugar and ground cardamom. Cook over a very low heat, stirring occasionally, until the mixture thickens and leaves the sides of the pan. Transfer the mixture to a greased glass dish, cover with clingfilm and allow to cool to the touch. Now form the mixture into 2 balls. Roll each ball out as thinly as possible, dusting both the board and the rolling pin liberally with icing sugar. 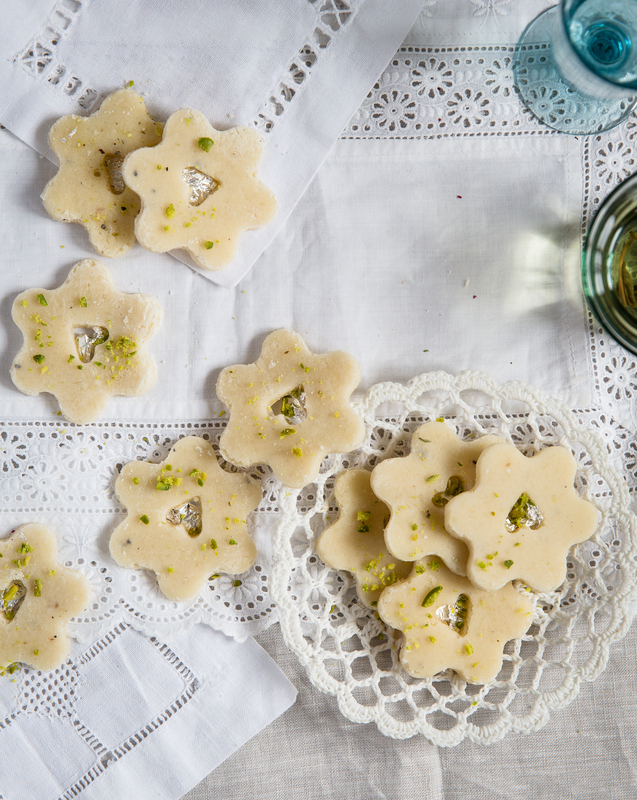 Using a 5–7.5cm/2–3-inch cookie cutter (flower shape is best) cut out 16–20 shapes. Divide the shapes into two equal groups. On one of the groups, cover the surface of the biscuits with silver or gold leaf. Then using a tiny cookie cutter (such as hearts), make holes in the middle of each shape in the second group. Place these on top of the silver or gold leaf covered ones. Dust with ground pistachios and serve or store in an airtight container for 2–4 days. Recipe extracted from Mountain Berries and Desert Spice by Sumayya Usmani, published by Frances Lincoln, an imprint of The Quarto Group. I’m regularly delving into this amazing book. First I made these lovely little sweet puff pastry biscuits called Bakar khani. 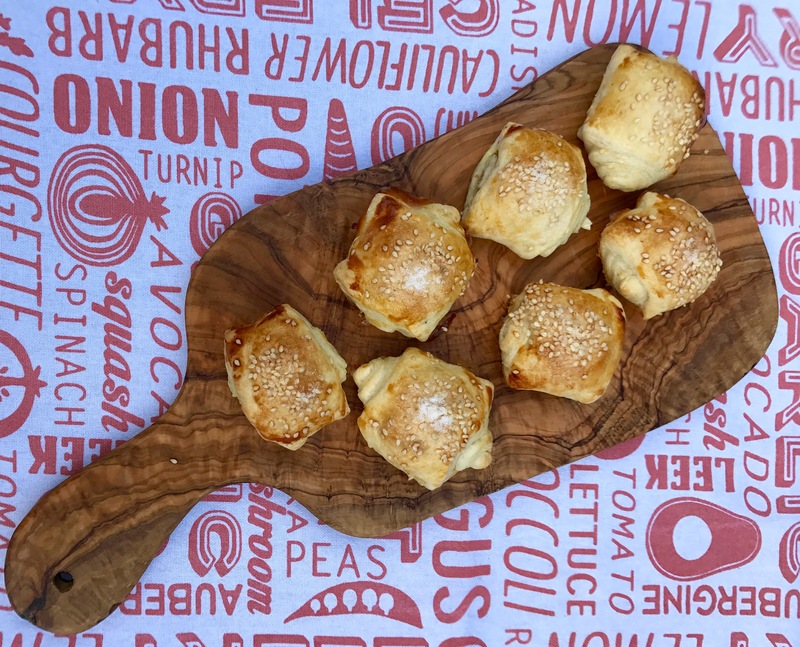 Very simple, made from puff pastry sprinkled with ground cardamom, poppy seeds and sesame seeds. Sweet, spicy exoticness. 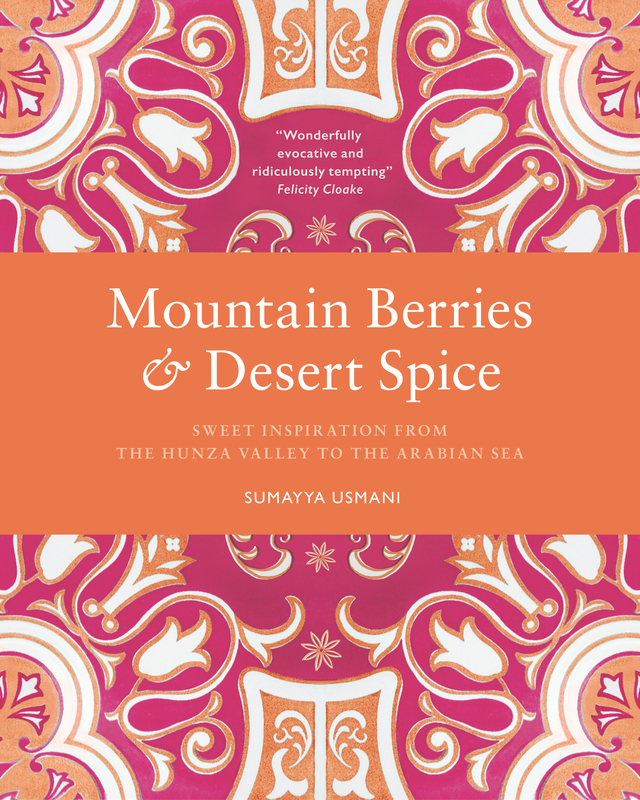 Two copies of Mountain Berries & Desert Spice by Sumayya Usmani worth £20 each. Answer the following question in the comment section of Eating Covent Garden. What country is the inspiration behind Mountain Berries & Desert Spice?